Gentrification is the process through which real estate becomes more valuable and, therefore, more expensive. Rising prices displace older residents in favor of transplants with higher incomes. This shouldn’t be confused with the forced removal of citizens via eminent domain or “slum clearance.” Ejecting residents by official fiat is a different problem entirely. 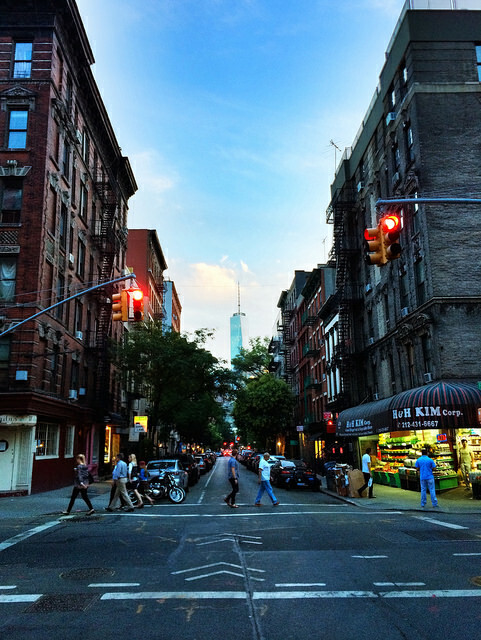 A classic example of gentrification is that of Greenwich Village, New York. Affluent residents initially occupied the neighborhood. 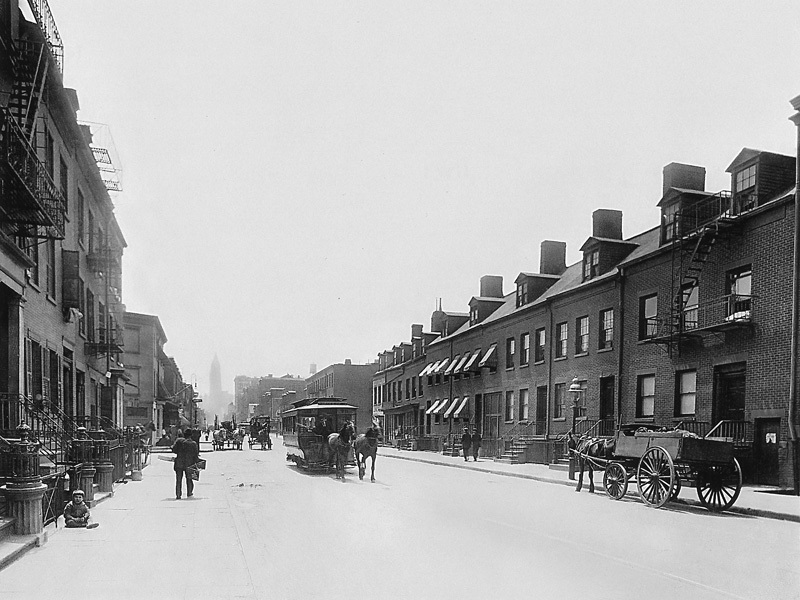 It later became the city’s center for prostitution, prompting an upper-middle class exodus. Low prices and good location would later attract the textile industry. This was the neighborhood’s first wave of gentrification. But after a large factory fire, the neighborhood was once again abandoned. Failure, however, would give way to unexpected success: artists and galleries began to occupy the vacant factories. These old industrial spaces soon became home to one of the most important movements in modern art. In Greenwich Village, different populations came and went. And in the process they each made lasting contributions to New York’s economic and cultural heritage. This was only possible because change was allowed to take place. But change isn’t always easy. As a neighborhood becomes more popular, it also becomes more expensive. Tensions run high when long-time residents can’t afford rising rents. Some begin to call for rent controls or other measures to prevent demographic churn. But rent control is a temporary fix at best; in the longer term, its effects are negative. By reducing supply, rent control tends to drive up the cost of housing. And in the face of price controls, landlords may seek to exit the rental market entirely, further exacerbating any housing shortage. What, then, does this mean for urban development? How can cities evolve without completely displacing their middle and working class residents? By embracing gentrification’s opposite: filtering. Buildings, like anything else, are expensive when they’re new but depreciate over time. Architectural styles change. Wear and tear accumulate. Buildings become harder to update with the newest amenities. Here is where we find filtering; aging units, originally built for the wealthy, become more affordable over time. What’s difficult to see is that filtering occurs simultaneously with gentrification. Every “gentrifier” frees up their former unit for someone slightly less well-off. That person, in turn, also frees up a unit and so on down the line. The process is akin to a game of musical chairs. But for the game to work for everyone, chairs must be added, not taken away. Cities must allow additional units to be built so that the housing stock expands over time. Research suggests that this is a necessary condition for filtering to take place. While filtering is not some panacea that cures all housing ills, it’s an important part of how housing markets work. Allowed to take place, it contributes to providing housing at all levels of income. The more a city impedes the process by restricting growth, the more its poorest areas will gentrify without the offsetting creation of less expensive housing over time. People on the left traditionally disliked California’s Proposition 13. But it turned out that in some older cities – I heard it about Columbus, Ohio, but there were probably others – there were areas where rather poor people actually did own their homes, and as the gentrifiers approached, property taxes went up, and the poor had to sell out! Suddenly the famous part of Prop 13 came to look a lot better in the eyes of the left. If “filtering” were allowed to work, the fact that new housing is not cheap would not be that much of a problem. I like calling filtering “trickle down” – that should appeal to the right wingers. This means that a lot of areas in the Bay Area will need to be allowed to build before filtering can actually occur- population growth there may be even faster than construction could occur without absurd permitting/NIMBY processes. Austin Tx, is seeing geniication all over the city. Tall ugly condos have destroyed most of the charm of the city, that developers, who build the monstrosities, use as marketing tools. Most of the artists, of whom have been responsible for Austins charm, have flown the coop. Very sad for the older current residents, and the new people, they lie to, about Austins charm.